Negotiating a Way Out of the Macedonian Crisis? As the political crisis in Macedonia has escalated in recent weeks, several EU officials, including Commission in charge of enlargement, Johannes Hahn and Federica Mogherini, the High Representative of the European Union for Foreign Affairs and Security Policy have urged the government and the opposition to negotiate and suggested the EU as a mediator. Yet, is negotiation the way out of the crisis? 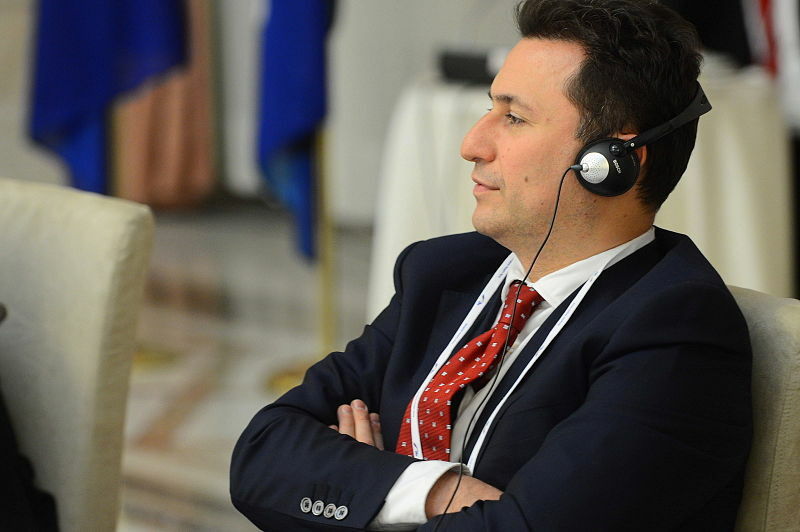 While the government has accused the opposition leader Zoran Zaev of espionage and planning a coup, the opposition has realized a number of audio recordings that suggest substantial abuse of office, the control over the judiciary and media and the manipulation of elections by the ruling party. Considering the severity of the allegations, the prospects for a negotiated agreement appear increasingly slim. However, it is less the prospects that should make on weary of mediation. First, the nature of the allegations is not a matter of mediation, but of investigation. If the tape recordings are even only partially correct, they indicate a scale of abuse that is incompatible with a democratic government. In addition, the wire taps effect not only the government and the opposition, but all of society. Thus, reducing a resolution on two parties falls short of including those affected. Two very different efforts by the EU to mediate in past conflicts in former Yugoslavia come to mind, both 18 years ago. In 1997, the mediation in Serbia between the opposition and government of Slobodan Milošević following protests over massive electoral fraud in local elections. The result was a partial concession by the regime which then continued to rule for another three years and engaged in a horrific war in Kosovo. Nearly at the same time, the EU also mediated after the collapse of the Albanian state following the authoritarian rule of the first Berisha government and the collapse of the pyramid schemes in the country. Here, the goal was a negotiated transfer of power, resulting in a new constitution and elections that led to a change of power. These two cases are instructive. Mediation by the EU should not just aim at resolving the difference, even if this were possible, but at a structural way out. Considering the severity and founded nature of the claim, a negotiated agreement would have to include an independent (not just in name) investigation of the claims and an expert government leading to new elections. With the current government in place, a free and open investigation appears hard to accomplish and even then it will be a challenge considering the evidence of control the ruling party exerts over the state. The EU is faced with two challenges in accomplishing this. First, its leverage is severly restrained. 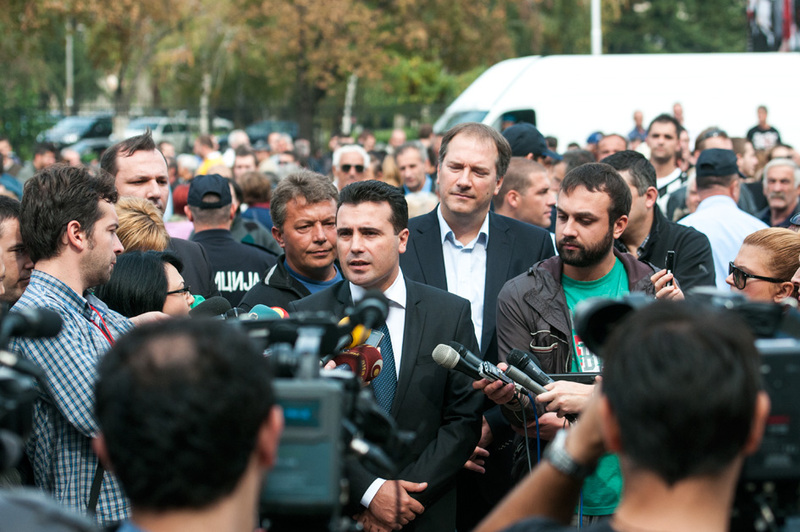 With the Greek veto it has little to offer and credibility in Macedonia. Second, the stakes are high. Either side views the conflict as a zero sum game with little to loose. If the allegations are true, the leadership of the ruling party would end up in jail. Thus, the incentives for any open investigation appear to be limited. One Response to Negotiating a Way Out of the Macedonian Crisis?